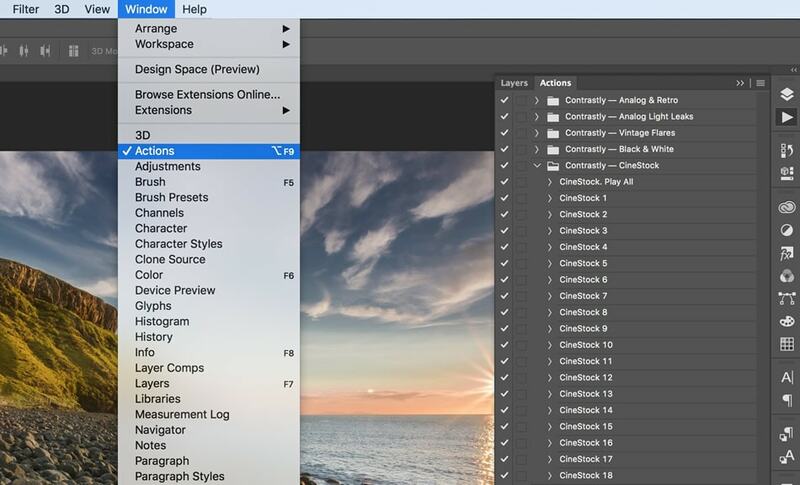 Installing Photoshop actions is very easy – this short guide will show you how to install them. This guide is for both Windows and Mac computers. Please note that the actions downloaded from Contrastly are compatible with Photoshop CS4 and all newer versions – except where noted – and are not compatible with Photoshop Elements. The very first step after downloading some Photoshop actions is to unzip the file. Then, once you have a folder on your computer that contains the .atn files simply open up Photoshop. Once it’s open, double-click on each action file (.atn) and they will appear in the Actions panel in Photoshop. If the Actions panel is not open, click on the “Window” menu and select “Actions” to open up the panel.